Isn’t technology great? We walk in the door at our home or office and our devices simultaneously sync to all our training and social platforms like magic across wifi. By the time we’ve showered, kudos and comments have amassed. It’s honestly amazing! But let’s face it, this instantaneous ease that was previously a solution to the problem of troubled downloads and data not being reported, has created another problem. The process is so automated, that it’s created a form-dependency that the data exclusively paints the entire picture for the workout. Thus athletes are becoming less in tune with subjective information and there is little to no impetus to report post-workout feedback. Luckily, one of my favorite and least techy pieces of coaching and self-reporting with the TrainingPeaks platform are the post-activity comments. 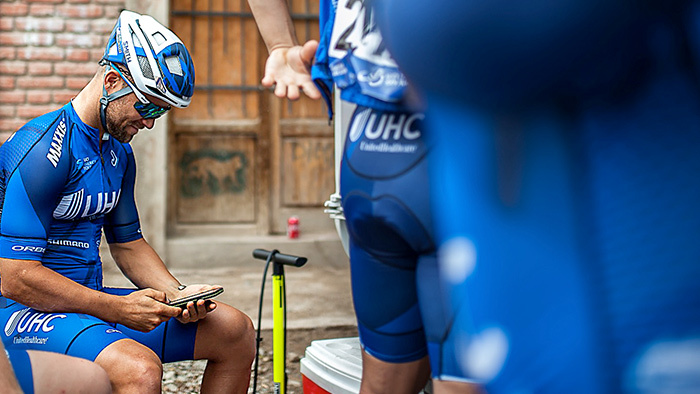 Sure there are tons of bells and whistles with the techy bits, but the simple act of reporting “how it went” is invaluable in my eyes as a coach and an athlete. It may seem like trivial information, but whether working with a coach or self-coaching, this is an often overlooked and undervalued step from both aspects. I hesitate reflecting back when I started training at the expense of sounding old, but making the point that devices were often only valuable for real-time reporting is key. Whether due to limited download options, errors in the download process, or if you were able to get it from device to desktop, the post-analysis platforms were clunky and limited. Therefore, it didn’t make much sense to expend that time. But with the lack of data reporting workouts for individuals, those who excelled still logged their workouts, whether in a simple spiral notebook or an Excel file. The point I’m making is that since athletes didn’t depend on the data being there or when post-workout data wasn’t a guarantee, they reported with a much better sense of their subjective effort. There was nothing to fall back on like the power or pace files, so words and reflections had to speak louder about how the workout felt and how I was progressing in my training. This may sound so foreign to some, or you may scoff at the idea of taking time to make workout notes, but the similar research that supports the benefits of taking time out to relax and shut down your “monkey” brain with meditation, breathing, or journaling for example, correlates to this.Taking the few moments to reflect on your training session gets you in-tune with yourself and hopefully develops an honest inward truth. Sure I’ve created a library with loads of workouts containing detailed information that I can use across many athletes, however, I customize the pre-activity comments heavily to individualize the training prescription. I put in the work up from to convey my intent for the workout and on the backend I encourage all my athletes to reflect providing as much information in their comments as they are comfortable sharing. I hold myself to this expectation as well since historical information is invaluable as you can always reflect back on certain good and bad days or periods and with detailed notes have a game plan of why or why not to repeat certain aspects of training or life. I’m developing intuitive athletes who can think for themselves versus just follow a workout prescription like a hamster on wheel. These post-activity comments are an amazing way to self-reflect and/or engage an athlete to better understand the process and make real-time decisions with educated forward-thought. And if used with a coach/athlete interface, a comment thread is created right there that both the coach or athlete can look back upon to gain insight like why it was a peak performance or equally valuable in my eyes of how to improve (and not repeat) upon mistakes. And the process of reporting comments is easier than ever with the mobile app. Since often the data is all synced up immediately, the athlete simply needs to bring up the days training, tap the “Add comment” button and input comments (maybe while rehydrating or whipping up some recovery food) to coincide with the day’s workout. “Oh I’ll do it later,” you say. Not likely. If you’ve ever heard one of the sayings of actions to create momentum of getting things done, “if it takes less than a minute, then do it now.” then this falls in the same boat as making the bed or putting something away to reduce clutter. The longterm successful athletes I coach stay on top of the process. You may think you’ll remember the intricacies, but honestly this rarely happens. Days or weeks of uploads go by and the workouts get jumbled in your mind and you forget the “acute” of how you felt that day, was it nice and sunny or wind that caused slower pace or higher HR in one direction or even if you’d fueled well. I’ve worked in a physiology testing lab and I’ve always had people finish a VO2max test collapsing over the bars or off the treadmill, ripping the mask off gasping for air and barely able to gain composure. But then later that day reviewing the test results, the athlete would often respond, “I think I could do better if I had another chance.” Really!? The acute pain seems to pass, so it’s important to note it while it’s fresh on your mind. What you ate and drank pre-, during, and post workout. What was your perception of first to middle to last repetition of an interval workout. What was your self-talk like at different points. What was the weather like (headwind, change in temperature, sunny, rainy, etc.)? Was there anything you did differently that would lead to this performance or the feeling that you reported on this day? Your motivation starting or lack thereof. How your energy was once you started or post-exercise. I hope this helps reinforce that we are truly in an age of data and unlimited connection at our fingertips, but often we get disconnected in other ways. That’s why my coaching philosophy heavily relies on building relationships, defining the “why” behind workouts and goals, and developing intuition so the athlete knows how to approach future days of training or competing based on their own historical trends and self-reflection. Keep logging the work and, if you haven’t been, I encourage you to reflect on your workouts by logging post-activity comments for two to three weeks and see if it makes a difference with how you approach future sessions and better understand yourself. Try to be brutally honest and I bet it will be hard not to grow as an athlete from the process. Daniel Matheny is founder and head coach at Matheny Endurance based in Colorado Springs, CO. He brings experience from regional grassroots to the international elite as a USAC Level 1 Elite Coach, UCI Director Sportif, & NSCA -CSCS working with all levels of athletes. Daniel's coaching philosophy is anchored to battling it out in the trenches competing as a Pro while correlating science to real-life application individualized for each athlete. Learn more at www.mathenyendurance.com.